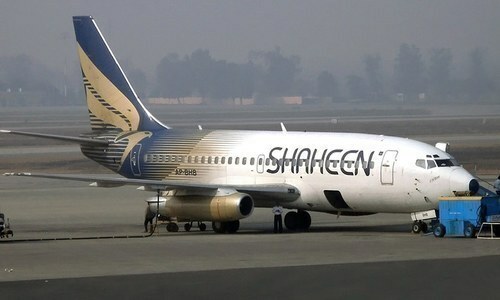 The Supreme Court of Pakistan on Friday ordered Shaheen Air to bring back "immediately" Pakistani passengers stranded in the Chinese city of Guangzhou due to cancellation of the airline's scheduled flights, DawnNewsTV reported. The apex court had taken notice of the issue on Thursday following media reports that as many as 300 Pakistanis — some of whose visas were about to expire or had expired — had been trapped in Guangzhou for days on account of their flights being cancelled. Headed by Chief Justice Mian Saqib Nisar, a three-member bench of the SC was told by Foreign Secretary Tehmina Janjua today that only 46 passengers of the originally reported figure of 300 Pakistanis are still in Guangzhou. The chief justice ordered the rest of the passengers to be brought back home immediately and told a senior airline official to make the evacuation journey himself in order to experience what "a common passenger must feel like". A Shaheen Air director claimed that the airline was not able to bring back the passengers yet as "only Shaheen Air's flights make the trip from Lahore to Guangzhou." However, Justice Ijazul Ahsan countered that "China Airline's flights for Guanghzou leave from Islamabad every day." "If Shaheen Air wants to save money then that's another matter." he added. Shaheen Air's reply was also termed unsatisfactory by the chief justice. The airline official, however, told the court that the airline has been "permitted to send a flight to China at 3pm today". According to DawnNewsTV sources, Shaheen Air flights had been cancelled as the Civil Aviation Authority (CAA) had deemed the airline's planes unsafe. Perhaps, in the light of that knowledge, Justice Nisar today told the airline to "not send any airplane that is unsafe for flying". "The plane must be sent after receiving the necessary clearance from the CAA," he added. The court also ordered the CAA to submit its report regarding the planned Shaheen Air flight. Why CAA allowed the airline to operate unsafe planes? It is a big breach of trust of the unsuspecting passengers. besides, I would not travel by this airline even if it offers free rides. How did this airline still operate under Nawaz and Zardari government's. Is it a surprise in a Country where the prievieleged fly free while the poor take such Airlines? What is the ambassador doing? Should courts intervene every where? Shaheen air and Air blue are thugs of the nation. With high end political and money reach, they fleece the poor of Paksitan. 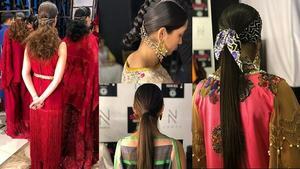 Shaheen should arrange the trave to Air china-safe,clean and non corrupt carrier! Will Government of Pakisan take immediate action? The judiciary take such issues because the Government is silent. It is sad. Last I read, there was a caretaker Prime Minister in country for the interim period. What is his roll ? Why only court has to be stretched everywhere ? Do they not have enough of their own things to do ? Absolutely know that it is not CJ’s job to get involved in cases like these BUT whole Pakistanis are sleeping and feel no concern!!! Thanks CJ for at least being proactive and caring for Pakistan and it’s people. Imagine an airline worst that PIA. I know what our government can do except big talk. My family members are suffering in airport without any help from anyone. China please help as you always do. @Abhi very true, this is the work of foreign ministry and embassies in China. Looks like everyone needs judicial push here. I have flown Shaheen quite a few times between the UAE and Pakistan. I was pleased with the experience and the airline seemed to have recently leased newer planes. Not sure what the fuss is about.